60 Minutes reporter Scott Pelley recently spoke with FBI Director James Comey about the importance of cutting-edge technology and cyber security. 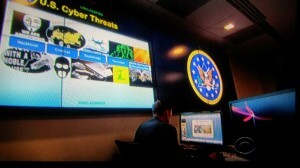 Related to this is a new cyber crime headquarters called Cyber Watch (CyWatch). CyWatch is the FBI’s 24-hour command center for cyber intrusion prevention and response operations. CyWatch receives threat and incident reporting, assesses it for action and engages with the appropriate components within Cyber Division, the field and other intelligence and law enforcement agencies for action. While we cannot disclose our role in the project, examples of Trinity’s work can be seen in the video. Trinity Video Communications is an audiovisual and video communications company that provides clients with state-of-the-art technologies that transform the way they communicate, interact and do business. Trinity also provides real-time unified communications to government agencies including the Department of Justice, Department of Defense, Homeland Security and law enforcement agencies at the federal, state and local levels responsible for mission critical initiatives. Trinity Video Communications holds a GSA Information Technology (IT) Schedule 70, commonly referred to as the IT Schedule or Schedule 70, a contract companies obtain in order to sell IT products and services to the U.S. government. 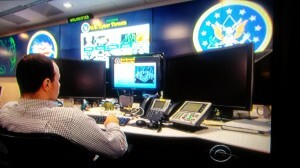 Watch the complete 60 Minutes interview @ http://www.cbsnews.com/videos/fbi-director-on-privacy-electronic-surveillance.